KYIV. July 27 (Interfax-Ukraine) – Net interest-bearing income of Oschadbank (Kyiv) in January-June 2015 grew by 22.5% year-over-year, to UAH 3.8 billion, the bank said in a press release. “The bank’s net interest-bearing income grew by 22.5% year-over-year, to UAH 3.8 billion, and net commission income grew by 17.3%, to UAH 700 million,” the bank said. 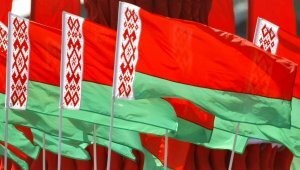 The bank said that its operating profit soared by almost four times, to UAH 6 billion. Its loss in January-June 2015 totaled UAH 2.8 billion, while its profit year-over-year stood at UAH 340.01 million. “With the purpose of removing the influence of destabilizing factors the bank formed reserves of UAH 8.8 billion during six months. The formation of a large volume of reserves is linked to the following factors: worsening of the quality of assets due to the hryvnia devaluation, worsening of the quality of assets in the Anti-Terrorist Operation (ATO) zone, the announcement of technical default by some state enterprises which are restructuring their debt and clients of Oschadbank, the downgrading of their credit ratings by rating agencies. As a consequence, in January-June 2015 the bank saw loss of UAH 2.8 billion,” reads the report. Oschadbank was founded in 1991. Its sole owner is the state. 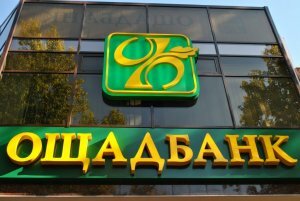 Oschadbank ranked second among 133 operating banks in the country on April 1, 2015 by total assets (UAH 150.8 billion), according to the National Bank of Ukraine. KYIV. 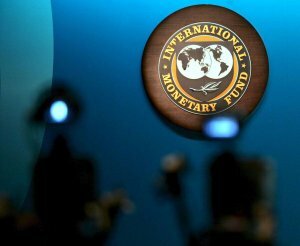 July 27 (Interfax) – Ukraine has complied with all the necessary preconditions for holding a meeting of the International Monetary Fund’s (IMF) Executive Board on July 31 and expects its positive decision on issuing the next tranche, says Ukrainian presidential representative at the Cabinet of Ministers Oleksandr Danyliuk. “This is the last step [the endorsement of a law on lifting a moratorium on the sale of assets of companies in which the state holds at least a 25% stake] and the last term for holding an IMF Board of Governors meeting on July 31. This term was complied with after the president signed this law. We have complied with all terms, and we expect the Executive Board to consider the issuance of the next tranche amounting to $1.7 billion,” Danyliuk said at a news briefing in Kyiv on Monday. KYIV. 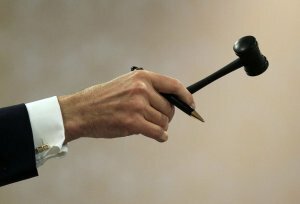 July 27 (Interfax-Ukraine) – The State Property Fund of Ukraine (SPF) plans to start selling small privatization companies using the Dutch auction principle by the end of this summer, and in September 2015 the online site for these auctions will be launched, SPF Head Ihor Bilous said in Kyiv on Thursday. “I think that by the end of the summer you will see the launch of an absolutely new thing – this is the sale of facilities using the Dutch auction,” he said while addressing representatives of appraisers. Bilous said that by using Dutch auctions the fund plans to sell facilities it had failed to sell earlier. 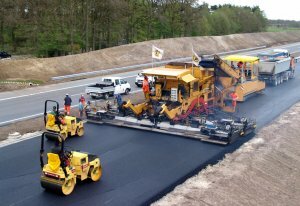 The Dutch auction foresees a deposit fee of 10% and the preliminary selection of bidders to avoid the participation of non-transparent and doubtful buyers in the auctions, Bilous said. “I hope that in September we will launch the online platform. Everything will be open, always to everyone. We want to allow individuals to take part in auctions,” he said, adding that foreign investors are showing great interest to Ukrainian facilities of small privatization. He said that the fund plans to introduce the possibility of providing services on a fee basis, as Georgia and Azerbaijan did, which would increase wages. “Finally, I will try to get any interest from the sale, privatization or leasing that will be left with the fund,” Bilous said. He said that the top-priority facilities for privatization in 2015 are facilities with state stakes: Odesa Port-Side Plant and three or six pump storage power plants, in particular, Odesa pump storage power plant, and Mykolaiv and Kherson plants. Among the top priorities are stake stakes in six regional electricity supply companies in Zaporizhia, Kharkiv, Cherkasy, Mykolaiv, Khmelnytsky and Ternopil, he said. “If we are lucky this year, Centrenergo as well, there are some nuances and problems. If we were not lucky, we would prepare better to sell it next year,” he said. Along with the above-mentioned facilities, it is likely that state stakes in Sumykhimprom, Zaporizhia Titanium and Magnesium Combine, President Hotel in Kyiv and other companies will be put up for sale in 2015. “A total of around 40 facilities will be brought to the market, and if we cope with our sale program using the Dutch auction, there will be more companies, as we will launch this online,” he said.